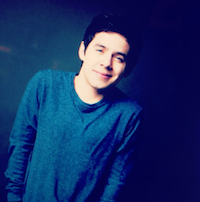 ← NASCAR: David Archuleta starts all engines! More info: Letting you guys know about the band auditions and meetings that have been going on aside from the NASCAR and blimp rides while in LA haha. Been keeping busy with that but really looking forward to how it’s going to come about. Can’t wait to get everything set up and to start performing again! Also came up with a little idea on the piano during the blog but I guess I’m a little too self-conscious in front of people and can’t multi task when it comes to writing and blogs… both things I am self-conscious about lol. Apologize if this blog doesn’t make a lot of sense but hope you enjoy it still. This is probably the most random post ever so bear with me. 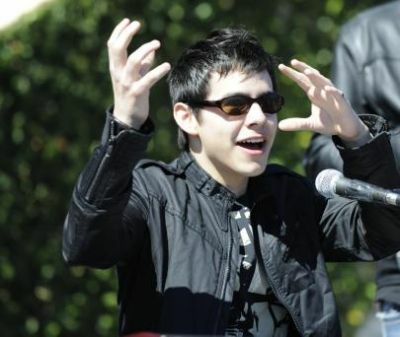 David Archuleta tweeted last night about missing an SLC performance of Foster the People, an LA-based indie band. I admit I’d never heard of them so imagine my surprise when I found out they were performing here in Toronto this weekend. And their show is sold out. As far as I know, they’re not getting any radio play here, I haven’t seen their music (which consists of one EP so far, their album comes out in May) topping any Canadian charts and yet they have enough support to sell out a venue here that holds about 600 people. How did the band get noticed? By playing at some industry-watched music festivals (like South by Southwest, above) and getting buzz on The Hype Machine, a site that picks up recommendations from high-profile music bloggers (btw, the only songs David has on THM are Crush, In this Moment, Imagine and DLTSGDOM). I guess my point is, it’s a whole new world out there for both unsigned and established artists. Remember the Australian band Men at Work? After huge 1980s hits “Down Under” and “Who Can It Be Now” (and winning the best-new-artist Grammy), they eventually went their separate ways and one of the founders, Colin Hay, attempted a solo career but ended up being dropped by his major label. “You are correct when you stress the importance of establishing a core audience, before you go in search of radio success. My old band had massive radio success and MTV exposure to the max, and when that went away, so did most of the audience. It’s like building a house with no foundations, you can’t…. “When I got dropped by a major label, my live audience was all I had, apart from my self-belief, to let me know I was on the correct path. They also, for the most part, let me be myself. And isn’t that what we all want at any given moment, to be who we are, and not who someone else wants us to be? 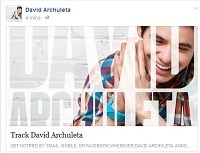 This entry was posted in Fan experience and tagged David Archuleta, Foster the People, Men at Work. Bookmark the permalink. Great random (or not–lol) thoughts TOfan. Being a David fan definitely involves getting an education about today’s music industry, sales, etc. Like all industries, it isn’t static and where the money is, the true art is, changes over time. Whatever the “foundation” David mentioned he’s building for his music career if it’s like what “Foster the People” is doing, sounds like a great path to explore and trod. Such a mystery. Doesn’t look like David plans to lay out much detail until it is actually happening. I’ll wait to see if he picks up activity in Facebook announcing tours, tweets appearances and updates, and releases free music, EP downloads, etc. I did notice he tweeted his vlog twice and his appearance in NASCAR, but NASCAR wasn’t announced much in advance. And, fact is having a label and manager means the artist has to make a boatload of money to pay for them; other routes appear to be a whole lot less costly with perhaps the same rewards. And radio play appears to be on the wane. Frankly, I’m wondering how many people actually listen to radio versus CDs, homegrown music lists, etc. The waning of radio play to be a known artist is obviously a factor. Looks like lots of things in the music industry are at a crossroad and many alternatives to explore. After reading this TOfan (and the link to The Lefsetz Letter from last post), I even more strongly believe that by David truly doing what David wants and needs to he WILL have success. I am a tad surprised that he didn’t make a move to Nashville though… maybe in the future. Oh TOfan…get random any ole time and way ya feel…good stuff. Gotta comment first on that pic and caption…it just made me smile. 🙂 Big. So cute, and the caption, so what I’m believin’ in for David, no matter all the unknown variables now. I’m like many of us I think…one minute worried, one minute encouraged and always, all ways~ optimistic in my belief in David. I’m intrigued by his tweet today about the “exciting meetings” and the band auditions…man, when he just tweets that I smell a tour and feel my withdrawal more intensely… recalling what concerts felt like. “When I got dropped by a major label, my live audience was all I had, apart from my self-belief, to let me know I was on the correct path. They also, for the most part, let me be myself. And isn’t that what we all want at any given moment, to be who we are, and not who someone else wants us to be?” Yes! ~ I will be in that audience for David. No doubts here from me on that…no rush David, no demands from me…you show up in your time, in whatever way you can make it work…you open your mouth to sing at any given point in your life, and I will come rushing back to listen. Hay says there…he’s had a lightness of being in his vlogs and tweets and comments on what he’s up to. Like he’s getting to “live life” in between planning his next moves musically. And after about 3 years of being AI’s/Jive’s diligent work-horse…he’s earned it. He did tell us in COS that while music is his passion, it’s not his whole life….I’m happy he seems to be enjoying just living in between the career stuff…and seemingly more on his terms. ps. Nashville also a great fit for David…I mean, not that I can say that for him…just that he seems to have expressed it himself. Ok! blah blah blah from me! Will come back to see what others are saying later! Amb4dja, “he’s had a lightness of being in his vlogs and tweets and comments on what he’s up to. Like he’s getting to “live life” in between planning his next moves musically. And after about 3 years of being AI’s/Jive’s diligent work-horse…he’s earned it” YES!!!!! I totally see that lightness of being and it’s a joy to see. 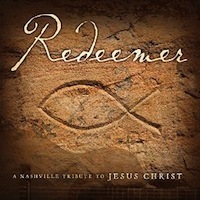 Awestruck, I agree about Nashville, maybe someday! 2:34 “I sleep talk…and sleep sing” I love it. I’m sure he does. annnnd u can see I’m really getting lots done this evening. Looked almost like the same place he recorded that first 1000 Miles vid from way back, hmmm. Love love love the vlog! Wow I never thought he’d actually do a vlog from the piano where he’s playing with some song ideas! Amazing! He almost looks like he’s forgetting he’s mid-blog and gets lost in his soon-to-be-song. Tofan, I love the idea of a more permanent band too, if that’s what he is doing. And this “multicultural” band is going to allow him to develop his own unique sound. abanana, yeah, I looooved that too, how the other musicians he played with “were great at doing pop stuff” and “in a music sense spoke English and Spanish”, but he wants to learn more languages and have a band that speaks 5 or 6 different languages… AAAAAHHHHH! He is taking his music and artistry to the next level and in the direction he wants it to go. Watching David at work is pure joy! LOL TOfan, I think alll your questions have been answered!! He is totally doing what he should be doing… and he realizes that he is still figuring out who he is as an artist and I am OVERJOYED by this vlog…… watching his face as he plays at his piano (and I recognized the 1000 miles spot too, ha) seeing his brain working, hearing him talk about how great it is to be more involved in the decision making >>> makes me want to squeeeee! The fact that he wants a more culturally diverse band, another thing to squee about, and he said SHOWS!!!! kkk I am overwhelmed with happiness for him and for what is in store…. for us!!! Amb4dja I thought Nashville would be a good music base for him too, and was kinda surprised that the band is all from LA, so sounds like that is where David is going to “work” from??? Fantastic video blog from David! New band, new languages, tinkering at the piano, working a new song….sharing it all with us, loved it! I get nothing but exciting visions of David and his new music, his creative flow, his independent thought processes, his band, his shows (upcoming)…he seems to be doing exactly what he needs to do and love that he is sharing it all along the way. Would love to see a jam session in a future blog, whoa, would be wonderful. I have a feeling that we are going to see some pretty incredible results from David’s writing, learning and creative expression. I hope he sings more next time too! He is doing now what he would have been doing had he not been on Idol – writing, experimenting, working on his musicianship, defining his sound, who he is as an artist. Ok, I am pumped! Tofan, yeah, I don’t think he would mention that if he wasn’t seriously considering it. And just thinking about that really gets the blood a pumping. emme & betsy, I thought he was being all metaphorical too … and we know music is his language, so it makes perfect sense he’d use that analogy. How cool that he wants to explore beyond pop and see where that takes him. You’re right emme, it is exactly what he’d be doing now if he hadn’t been on Idol… but we wouldn’t get to watch it all unfold, how lucky are we? “Soul”, “R&B”, “Gospel”, “Jazz”, so glad he wants to venture beyond pop>>> my hope is that he does not start speaking “Country”, but that is just me , lol. It is going to take some time for all of this to come together – new band, maybe new sound, possibly newly penned songs, covers, and as he said trying new and different things. Pretty exciting stuff. Seems he must have something set up for the future, maybe just not immediate future, late summer possibly. Who knows. But we do have the appearances he mentioned to give us a glimpse as to what lies ahead. GIDDY-LICIOUS indeed JR – we will have to listen very carefully for the few notes/words in any new David songs heh! Haha, I could have sworn I heard baby in there too! JR, David may have said “baby” in his singing but the only words I could hear (with my headphones on) from his soft singing at the piano were “been looking” or at least it sounded that way to me. We need to hear more of David in song! Very excited for David, building his foundation will take time but he is on his way by the sound of things. Many artists go the independent route and are far happier for it (and make a living at it). Never heard of “Foster The People” until David mentioned them, they have a unique sound (of course David probably has just about every song, every artist or group in his very musical head, ha). I’ve read from those who know him well that David has a phenomenal memory. 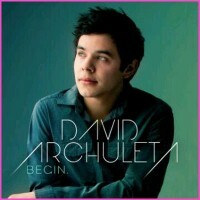 awestruck….I am very glad too that David didn’t stick to his “4 min limit”, hope it continues! heh peppertara! don’t have much time for commenting these days, but do read and I enjoy your’s and other’s viewpoints! My isn’t he becoming more articulate? because of being more relaxec??? Ditto awestruck, he seems relaxed, happy and confident!! awestruck, yes, so articulate… loved his answer to the NASCAR favourite question. From anyone else that would sound like a cheesy politician’s answer but you know he really means it. There are other vids that may interest you and am sure that they have not been posted @ YT. I’ll put them in my next comment, ok? DA interview w/ Big Buddha – FULL & AUDIO ENHANCED – only the 1st part of the vid was broadcasted (see vid # 10-16 in my channel as ref); But in other YT postings, the sound of the 2nd part is almost inaudible cos it was like that in the original footage – so I fixed it! AAah Thanks JR!! I love revisiting the past interviews…. I could spend the entire day…. He is adorable, really good rhythm! Awww – ref – he is adorable! I fixed for you! 🙂 ohmyheck, tooooooo adorbs!!!! !